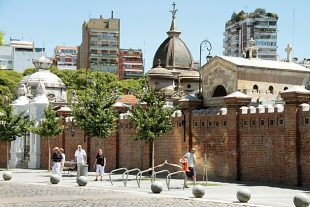 One of Buenos Aires’ most beautiful neighborhoods is also one of its most exclusive. They won’t let just anyone move in, so if you’re looking for a new home here, there are a couple of inflexible prerequisites: you must be rich, and you must be dead. Being famous helps.